In our Holiday 2017 box, the first cocktail featured is called After The Gold Rush. It uses Copper & Kings American Brandy, which is distilled in batches using traditional copper pots. Copper & Kings crafts brandy by means of a “low & slow” distillation philosophy – a low distillation temperature and a longer, slower distillation to maximize copper contact, to express concentrated flavors, aromas, and smoothness. 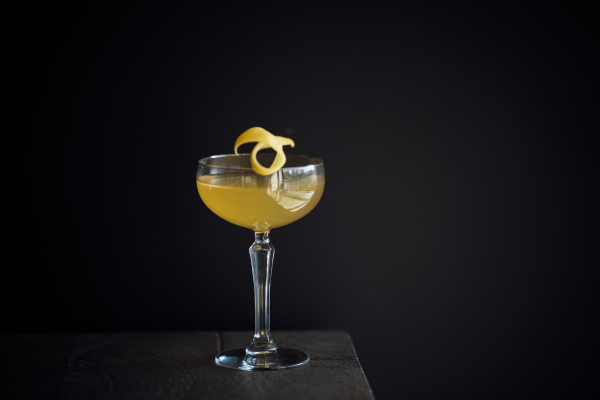 You’ll combine it with a simple honey syrup, lemon juice and a few dashes of Scrappy’s Orleans bitters to add some subtle anise, citrus, cinnamon and bitter floral notes. To make the honey syrup, combine honey with hot water and stir until fully combined. In a shaker, combine all the ingredients and add ice. Shake for 10 seconds. Pour among two glasses and garnish with a lemon twist. SaloonBox Cocktail Blog. Recipes and trends from the best bartenders in the world.